PSA CEO Varin replaced Christian Streiff in early June. PARIS -- PSA/Peugeot-Citroen has a new head of the Peugeot brand and a new finance chief following a major management shake-up Thursday. New CEO Philippe Varin, who replaced fired CEO Christian Streiff in early June, appointed Citroen boss Jean-Marc Gales to oversee Peugeot and Citroen as the head of PSA's overall brand strategy. 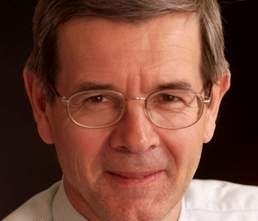 Longtime PSA executive Frederic Saint-Geours will head PSA's finances. Gales, a former Mercedes-Benz and Opel executive who joined the French group as head of Citroen in April, will replace Jean-Philippe Collin as head of the larger Peugeot brand. Without being more specific, PSA said Collin would leave the management board. Collin had replaced Saint-Geours as head of Peugeot on January 1, 2008. Previously, Collin was PSA's head of purchasing. Gales also will oversee Frederic Banzet, who becomes head of the Citroen brand. In addition, Gales will take charge of the centralized marketing and replacement parts departments, as well as PSA's company-owned dealer networks. 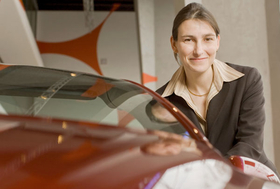 Isabel Marey-Semper started as PSA CFO in September 2007. Former Peugeot boss Saint-Geours will become the PSA managing board member for finance and strategic development. The new post will include oversight of PSA finances, control over in-house bank Banque PSA Finance, and the lead role in forming new cooperative ventures and strategic alliances with other carmakers. Saint-Geours replaces former PSA Chief Financial Officer Isabel Marey-Semper, who was a close ally of Streiff. Semper, who was named CFO in September 2007, will become one of Varin's two new special advisors. His second special advisor will be Roland Vardanega, whose management board spot in charge of manufacturing and components goes to Guillaume Faury. Vardanega, who will retire at year-end after a 40-year career with PSA, will continue advising Varin on improving manufacturing quality and reducing operational costs through implementation of so-called "lean" methods initially developed by Toyota Motor Corp.
Gregoire Olivier keeps his managing board post in charge of automobile programs and strategy.  Jean-Christophe Quemard, purchasing director.